Background & Objective: Acinetobacter baumannii is an opportunistic pathogen with high pathogenic and antibiotic-resistance potential and is also considered as one of the main nosocomial agents, specifically in the intensive care units (ICUs). It is highly important to use molecular biology methods in the epidemiological studies, determine the source of infection, and understand the relationships and distributional patterns of pathogens. Therefore, the current study aimed to determining the similar molecular types in the A. baumannii species isolated from patients in Tehran, Iran, by the repetitive element PCR fingerprinting (REP-PCR) method. Methods: A total of 350 clinical samples were collected from patients admitted to different hospital in Tehran, assessed to identify Acinetobacter spp., based on the special culture media and biochemical test results. The resistance of isolates was evaluated against 11 different antibiotics. The cefepime and ceftazidime were assessed by the minimum inhibitory concentration (MIC) method, based on serial dilutions. The genome of isolated strains was extracted using the modified boiling method and amplified in REP-PCR technique using specific primers. Results: In the current study, out of 120 isolates of Acinetobacter spp., 100 (76.9%) were identified as A. baumannii, mostly from ICUs and infectious diseases wards. The isolates of A. baumannii in the current study mostly showed antimicrobial resistance against cefepime and ceftazidime, and had the highest sensitivity to polymyxin B. About 70% of A. baumannii isolates in the current study were resistant to 3 or more antibiotics. According to dendrogram analyses, the patterns were classified to A- I with the maximum population (36%) of group A. All genotypes of Acinetobacter spp. in the current study showed resistance against carbapenems and aminoglycosides. 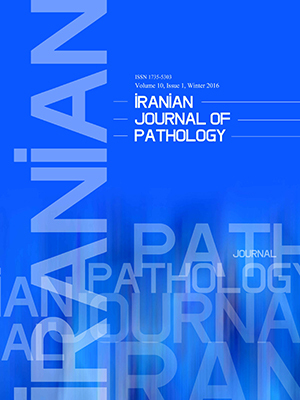 Conclusions: High similarities between the isolates in the current study indicated the high distribution of A. baumannii species in the hospitals of Tehran.